Halloween Celebration w/ Dracula (1932) – Live. Laugh. Scream. Behold! Dracula, the movie that launched a twenty-three year progression of monster movies we call Universal Classics. 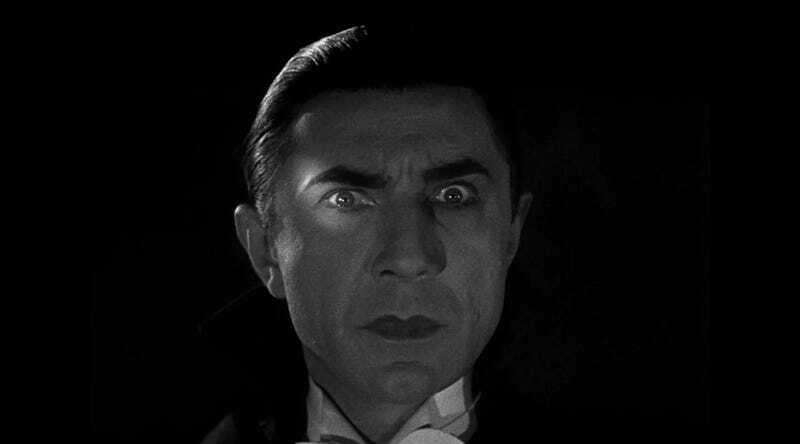 Who could have predicted the success despite a rather tremendous stage career of not only the film but also the glowing eyed antagonist, Bela Lugosi? Dracula, the dashing, mysterious godfather of modern horror cinema, released at the Roxy Theater in New York City, on February 12, 1931. Even the cleverly crafted “fainting” rumors and “on-call” medical staff in the lobby orchestrated by nervous executives, hoping to induce some natural sense of morbid curiosity, was unnecessary. 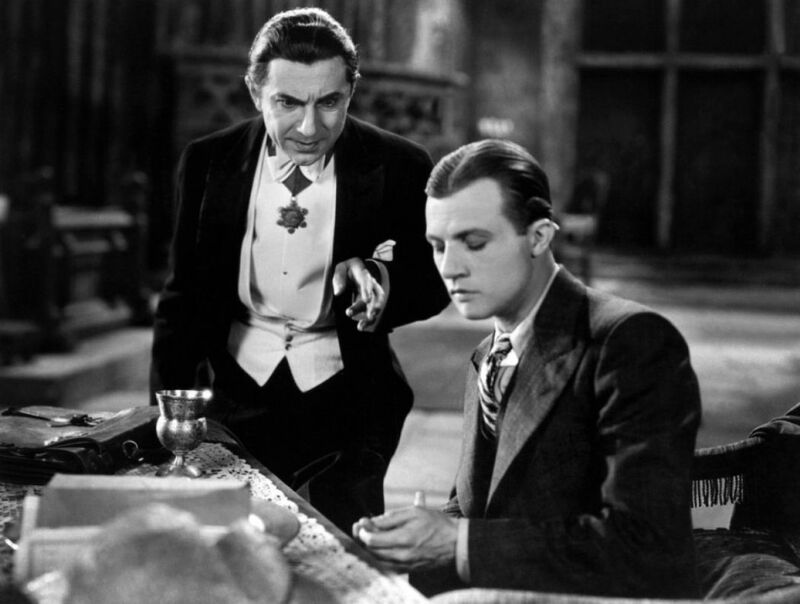 According to film historian Michael Fitzgerald, within the first 48 hours of Dracula’s release, the Roxy Theater had sold over 50,000 tickets. Horror had just become mainstream. Dracula’s acclaim paved the way for the other classics we’ve grown to love, our other Universal Studios Monsters, such as: Frankenstein, Bride of Frankenstein, The Mummy, The Invisible man, The Creature from the Black Lagoon, and The Wolfman, each owing their existence to the success of one film, even if said film wasn’t entirely all that great. There were some issues, on and off stage. But I think, by and large, the success, as it began at first, was due to the period in which the film released. Lets take a look back in time (key Twilight Zone theme). The golden era of Universal Studio monster movies is one of most interesting bits of Americana cinematic history. Why? I’m glad you asked! As the roar of the 1920’s was coming to an end, the decade that had ushered in high booms and some of the best silent pictures would eventually end in the same dramatic fashion. The Stock Market Crash, also known as “Black Tuesday,” on October 29th, 1929, while still under much debate among certain historical circles, we can say that following the panic, America went into the greatest depression she, thus far, had ever known. By March 1930, 3.2 million people would be unemployed. And while Americans were growing uncertain regarding the future in the face of food riots, strikes, and lamentable upheaval, not to mention prohibition, even more uncertainty was developing on the horizon. Beginning in 1928, against the backdrop of Germany’s almost two decade long depression following the end of the Great War, and the peoples utter discontent with what they considered a failure of Wiemar Democracy, the Nazi Party (The National Socialist Party) slowly began taking over the Reichstag (Reichstagsgebäude). Fascism was a darkening cloud over the Atlantic. By January 30, 1933, Adolf Hitler was appointed chancellor. By 1935, the anti-Semitic Nuremberg Laws were established, and in 1939, with Germany’s invasion of Poland, World War II officially began. This, of course, is just a brief look at the world during the era Universal Horror shared. Only with the luxurious logic of hindsight can we contemplate why executives were nervous over Dracula’s success in the first place. Some things we can guess. This was a film, based on a stage play, based on a novel that was, at the time, rather dark and perhaps too sexualized for tastes during the 1930s. And across the pond, the world was in turmoil. And not just that, but Lon Chaney, the Man of a Thousand Faces, the producers first pick as Dracula, had recently and tragically passed away. Who would they cast now? In the end, it boiled down to Lugosi, and mostly only because he was literally the last option and would work for cheap, about $500 a week. Certainly, the film was a risk for Universal, but as history proved, Dracula became one of the greatest escapes for worrisome audiences listening in on radio broadcasts about invasions, famine, poverty, and war. And of course this was no simple drive to the movies! Not at all. For the silent and talkie black & white era “going to the movies” was no humbug experience with sticky floors and hoodlum teenagers. Especially for theaters such as Roxy, in New York City. The Roxy was a Grand Theater, a “Cathedral of the Motion Picture.” Going to the movies to see Dracula was not the same experience as going to the movies today, to say the least. Going to the movies during the 20’s and 30’s was like going to the Opera in today’s standards. Folks got dressed up for cheap tickets and excellent performances. Live orchestras opened the night before a large velvet curtain pulled away revealing the white projection screen underneath. Going to the movies, was indeed The Greatest Show on Earth. But that was then. Now, we’re sitting at 87 years since Dracula’s original release. What does Dracula say for today’s audiences. Well, to be honest I’d say most people probably feel Dracula is rather dated. 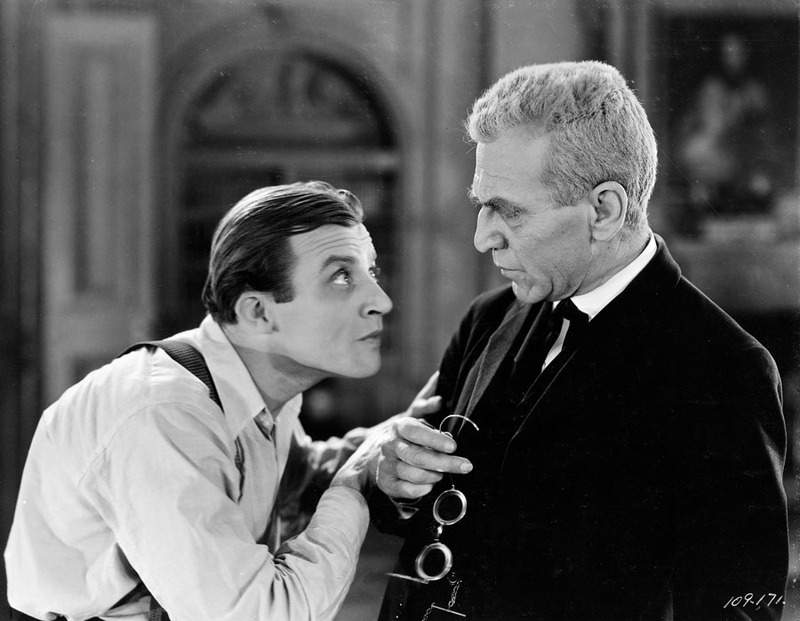 Tod Browning’s directorial control seems very lacking in many regards. Consider the piece of cutout cardboard left on a lamp for one of Lugosi’s closeups. In fact, we should probably give more directorial credit to Karl Freund, famed cinematographer of 1927’s German Expressionist masterpiece, Metropolis. And the lack of a musical score gives one the impression of empty space, like watching a High School stage production than a big budget Hollywood movie. Its choppy. There’s a sense of discontinuity. Despite all that, Dracula, in my most humble opinion, is an incredible film that at times is still scary today. The fact that the movie is, in its own way, still disturbing stresses something important about the kind of story being told. A horror story playing on fears realized in the hearts of humanity told since the first campfire. Dracula tells us about (though, i’d argue for socially different reasons between 1931 and today) our fears of the so-called foreign invader, fears of madness, fears of hierarchical purity (Nazis called this, Volksgemeinschaft; the United States called it, Eugenics), fears of the unknown, fears of losing free will (especially the freedom of choice), and fears of death. One of the greatest (of many) appeals with Dracula is its quality of acting. While Dracula was Bela Lugosi’s signature role, a role he played beautifully and held audiences with his mesmerizing Hungarian accent, my favorite was actually Dwight Frye’s portrayal as Renfield. Watching the movie, even now 87 years later, Renfield gives me the chills. His sensibility as Dracula’s minion, his raving lunacy, devouring spiders and flies alike, was delivered with pure genius and incredible character acting. Especially during the scene aboard the Vesta, when the London longshoremen discover Renfield hiding below deck, the look on his face looking up at them from the staircase is, to say the least, disturbing. And this pretty much goes for the rest of the supporting cast. Edward Van Sloan as Abraham Van Helsing was marvelous. And who could deny the captivating charm of Helen Chandler as Mina Harker, the subject of Dracula’s desire? Yes, Dracula has some production issues that could sway you away into settling with a few YouTube clips to satisfy your curiosity. If I could somehow convince you otherwise, I hope this review helped. There’s certainly an historic importance with Dracula, but not just that. Dracula was, regardless of the all its mistakes, hauntingly human, and, as it was billed back in 1931, a strange [otherworldly] romance that started a chain of monsters that we for better or worse take for granted. 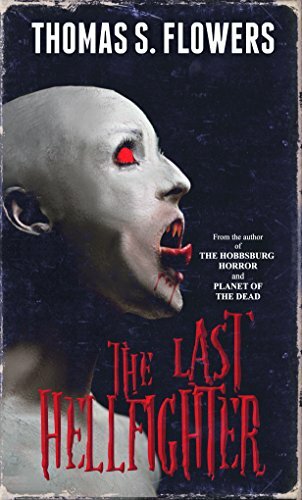 Make your Halloween complete with a fangtastic new read!